I am writing to inform you of the sad death of Rosemary Titterington on 5th August 2018 at the age of 87. Rosemary was a pioneer of the year round fresh herb industry in the UK and international plantswomen from her award winning herb gardens at Iden Croft Herbs in Kent. She advised on and helped establish fresh herb imports from AGREXCO, Israel and many other countries creating a year round supply of fresh herbs for the UK and Europe. She worked with M&S development teams and won a DTI SMART award for her Edible Flower range. She was involved in many TV appearances, working with presenters and chefs. She appeared frequently in the press and was a regular contributor for articles on herbs and horticulture. She also wrote several books on her subject and won medals at Chelsea Flower Show for her displays. Her greatest love was her gardens at Iden Croft where she held the National Origanum and Mint collections. She had thousands of visitors each year from all over the world. 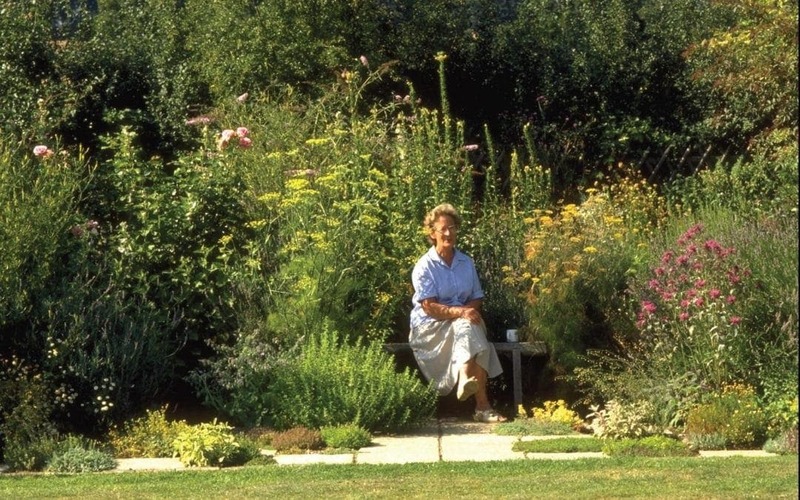 Rosemary retired in 2002 with her husband David and spent many happy years developing her daughter and son-in-law’s garden from their annex also in Kent. Her funeral is at All Saints’ Church in Staplehurst, Kent at 1.30pm on Thursday 6th September. All are welcome.